Amazing!! I gave [Un]Remembered 4 of 5 stars on GoodReads. It begins with a girl (Jane Doe, Violet, Sera, Seraphina) being the only survivor of a plane crash. The problem is that she has no memory (hence all the names)...and that is where it all begins. This book was a page turner and sucked me in from the first page. It is science-fiction, mystery, with a little romance to boot. I r-e-a-l-l-y can't say too much without giving something away, but I want to say that the romance was not too sappy. Even though we didn't get to know the boy, Zen, very well, I thought the love interest had a longevity that made it real. You have to read it and ride the roller coaster of Sera's memory retrieval journey yourself!! There are so many plot twists that it keeps you wanting more. I found the end to be satisfying which is something that I always appreciate. Thanks to Macmillan and Farrar Straus Giroux for sending me this ARC to read and review. I thoroughly enjoyed it. 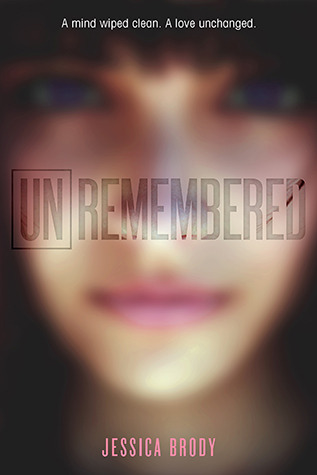 Look for [Un]Remembered at a bookstore or library near you around March 5, 2013.